Information on Embracing a Healthier Lifestyle in Green Enough is made possible with a review copy of the book by Leah Segedie. All opinions are my own. Affiliate links to Amazon and Barnes and Noble for purchasing a copy of the book are included and may net this site a commission from your purchase. Years ago someone came up with the phrase “Better Living Through Chemistry.” Advances in science which brought us plastics and ways to extend the shelf-life of foods seemed to be a wonderful thing. However, it is becoming more clear as time goes by that some of those ‘advances’ are really setting us back when looking at the health of our world and its occupants. Earth: North American Continent. 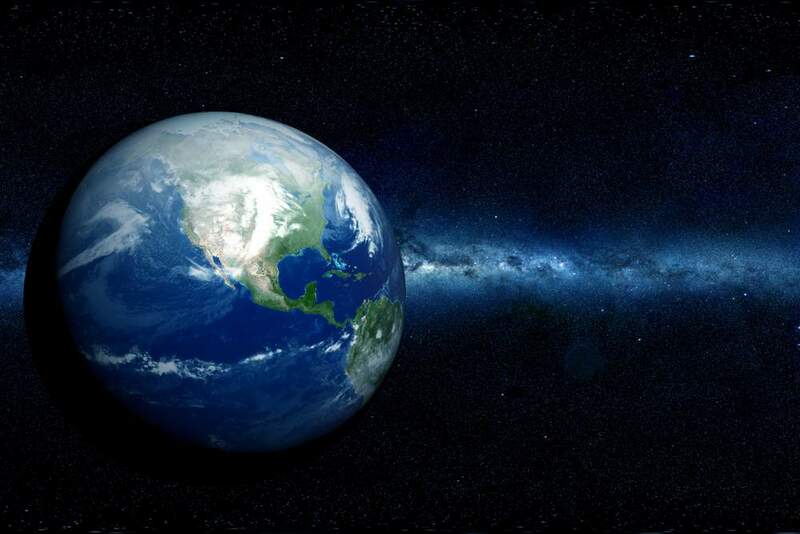 Globe / Earth – Northern Hemisphere. Dark Cosmos. I am a firm believer that once you have seen the truth it is hard to unsee it. Sure, you can enter into denial and hope for the best. But, that is NOT the way my brain or heart works. Once I see it, I have to make changes! While Leah is passionate about making changes in our homes as well as in the world, she also recognizes that for many people change needs to be slow and steady. Not everyone is ready to go through their home and toss out all the things that are not the best for your family and the world. And, for those of us working on tight budgets, it might be inadvisable to embrace it all at once. After becoming a parent, Leah Segedie decided to investigate what, exactly, was in the food and household products she was buying. It turns out that many of them were filled with dangerous chemicals and toxins that have been shown to negatively impact human health. From that moment on, she embarked on a path of non-toxic living and became determined to help others. As a marketing expert and creator of the hit blog Mamavation, Segedie researched thousands of products and health claims to evaluate their safety. You can find the book on Amazon and Barnes and Noble to have shipped directly to your home. You can select a digital copy, although I recommend the print for this title. Ever have a book alter your view of the world? This book is poised to be a game changer for anyone who reads it. As I said, once you have seen the truth it is time to step up and make those changes. Unless you like the path of denial which most likely ends in health issues down the line. Even though some of the information reinforces what I’ve already learned, Leah has taken it to the next step with great lists to help you make better decisions when shopping. She also helps you navigate the challenging world of labeling to decide what items in your home can stay and which need to go. Many thanks to Leah for permission to share this excerpt. It’ll give you an idea of her style of writing which makes this book a great read. That cinnamon oat square cereal you bought because it’s chock-full of fiber and protein is not only loaded with sugar—more than 2 teaspoons per half-cup serving—but also butylated hydroxytoluene (BHT, a scary, petroleum-derived preservative that’s banned in Australia, Canada, New Zealand, Japan, and throughout Europe), genetically modified organisms (GMO) galore in the sweeteners, maybe some monosodium glutamate in that mystery “flavor listed on the label, and potentially a huge dose of pesticides in the oats and wheat. Don’t miss out on this fantastic new resource! Grab your copy today. 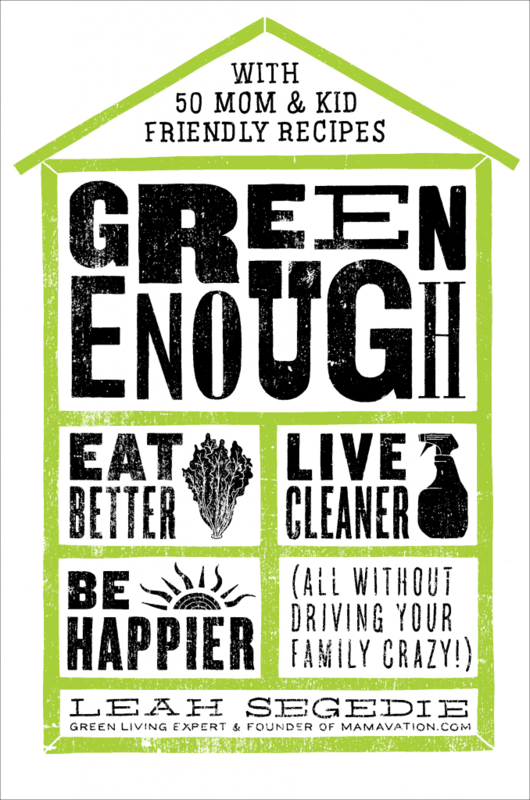 What are some ways you are living a greener lifestyle? Are there simple changes you have made that are providing a benefit to you and your family?